In the past decade and before that Maruti Suzuki has set a benchmark for itself in the Indian automobile market and have expanded their empire to the pinnacle here on Indian roads. Ever since Maruti 800 was launched, the popularity of Maruti Suzuki has escalated to such a height where no other brand can overthrow it from its throne. In terms of mileage Maruti Suzuki comes first and now they have turned a stone and have ventured into making themselves global. Petrol prices have been sky-rocketing in India since a long time now and thus nowadays people are more oriented towards buying a diesel car or CNG rather than going for petrol. 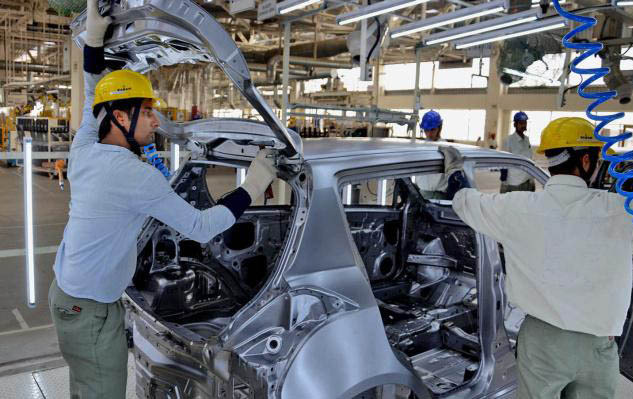 Thus owing to this demand Maruti Suzuki has decided to set up a manufacturing plant especially for diesel vehicles in the hub of Gurgaon, NCR. Since a long time Maruti Suzuki had been planning to have a few more diesel power plants in India than the ones they already have. And Delhi being the capital has more cars than any other state. The news was initially unexpected and raised eyebrows with some people even going to the extent of pointing the news as fake but now Maruti has come forward and revealed the truth. The manufacturing plant will be set up with the help of an investment amounting to Rs 1000 crore. A total of 100,000 diesel car units are being predicted to be rolled out of this plant every year. The best part of the news is that Maruti Suzuki has realized the crisis in India over petrol prices. Maruti Suzuki already has lots of petrol variant manufacturing plants all across India but now they are looking forward to setting up this plant which will manufacture only diesel cars. There were two primary reasons behind the delay of this initiative. The first one being the fact that in the upcoming budget session there are ample chances of the government imposing a certain percentage of excise duty on all diesel variant cars whereas the second reason lies in the fact that in the last 1-2 years there has been subsequent losses in the sales of Maruti Suzuki owing to the uprising of many other brands in the market. India now has a diverse line of multiple automobile manufacturers who have stepped out of the dark and have entered into the mainstream of the automobile car market and thus Maruti Suzuki needed time to come to terms with their loss. Thus eventually the plan has entered the implementation mode with the diesel engine plant coming up in Gurgaon. Presently Maruti Suzuki has only four cars in its kitty which come with diesel engines as well. These are Swift, Swift Dzire, Ritz and SX4. These cars are said to be contributing uniformly about 80% of the sales of Maruti Suzuki in India. So now since the crisis of petrol prices has escalated thus this decision of Maruti Suzuki to set up a Diesel Power Plant is sure to bring relief to the customers and thus compensate the lost market value of Maruti Suzuki in the Indian market.